Good, replayable design keeps games in collections and out of the trade-in bin. The man with the greatest moniker in the business - Feargus Arquhart, CEO of Obsidian Entertainment - thinks his colleagues are distracted by sidequests in trying to combat the tendency for gamers to trade in old titles. EA was one of the first to implement the policy called "Project Ten Dollar" with one-use codes opening up content for people who bought the game new. Urquhart doesn't think that's the right course of action for a games company. "One of the recent issues is not putting the full game in the package and requiring downloadable content to move on. Also, including DLC in the package that will have to be repurchased for secondhand buyers. I think you have to go in and forget those gimmicks, and say, 'How do I make them want to keep the game on the shelf?'" Urquhart said. With a role-playing game, it is the same thing. We come up with things to make players want to keep on playing it. By having a good and evil track, like Knights of the Old Republic II, I can play as a light or dark Jedi. I may play through as a light Jedi, but I know that I could play through as a dark Jedi. So I think, "I'm gonna do that some day." So I put it back on my shelf and I don't take it back to GameStop. 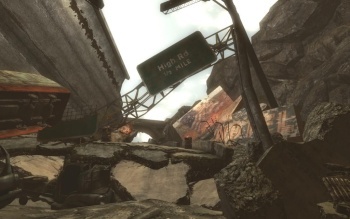 If I play Fallout: New Vegas for 50 hours, but there are all these other quests, and there's this whole other area I didn't go to, and online there are people talking about all these things that you could have done all these different ways, I'll feel like "Wow, I could play this game again." The game is going to go back on my shelf, not back to GameStop. I find Urquhart's words refreshing. Game developers should focus on making their games great so that people don't feel rewarded for turning them back in to rental or trade-in retailers. I'm all for Urquhart's plan, and I think the kinds of games that his company makes often last on players' shelves because of their depth and quality, not the gimmicks of codes and items.